JNCC were considering switching from ESRI ArcGIS, which they had used for a number of years, to Quantum GIS (QGIS). 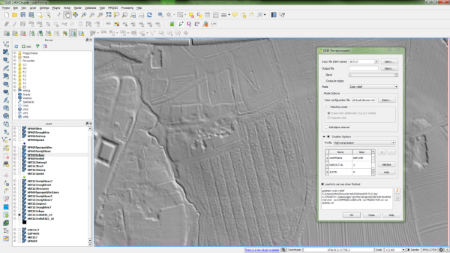 Exegesis were commissioned to undertake an expert review comparing the functionality available in ArcGIS for Desktop Advanced, Spatial Analyst and 3D Analyst with that in QGIS, to determine whether QGIS met JNCC’s data management requirements. This involved a review of nearly 1,000 items of functionality in ArcGIS and its extensions to ascertain whether it occurred in QGIS or its plugins, or other open source GIS that were closely integrated into QGIS, such as GRASS and SAGA. The two GIS were not always completely comparable, so notes were made on many of the items of functionality to give a more nuanced assessment. These notes covered those instances where no direct comparison was possible, where functions behaved subtly differently, where almost identical results could be obtained through different means and where ArcGIS specific concepts applied that were not replicated in any other GIS. QGIS lacked some advanced functionality required by JNCC, but it would be possible to develop much of this for QGIS. The lack of QGIS support for the ESRI map document (mxd) format was a particular issue, as JNCC required these for sharing data with partner organisations, but since the format is proprietary it would not be possible to develop this functionality. We also assessed any changes to JNCC’s IT infrastructure required as a result of implementing QGIS, as well as the associated costs. There were no obvious issues with delivering QGIS via their existing Citrix system, though this was not tested. Whilst QGIS is open source, leading to significant reductions in licensing and annual maintenance costs, this needed to be balanced by the loss of functionality not available in QGIS, the lack of support and the need to retrain staff. The assessment suggested that whilst it would certainly be possible to implement QGIS within JNCC, ideally alongside a spatial database, with PostGIS offering the best QGIS integration, it would be necessary to retain at least some ArcGIS licences to ensure that some required functionality remained available. Further information from Mike Lush. © exeGesIS Spatial Data Management Ltd. Company No: 3743089. Registered in England and Wales.